Product prices and availability are accurate as of 2019-02-22 08:25:04 UTC and are subject to change. Any price and availability information displayed on http://www.amazon.com/ at the time of purchase will apply to the purchase of this product. This Spiceberry Home 4-1/2 qt. 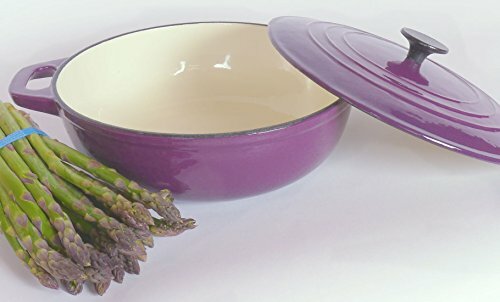 Brasier is perfect for casserole dishes, slow cooking, roasting or braising. It is also great for stews. 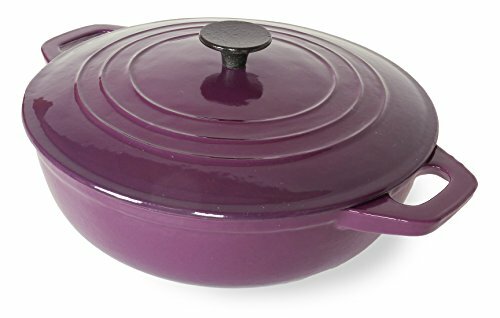 Also known as a covered casserole or wide Dutch oven, you'll find that this is the cookware you'll reach for time after time. This dish is carefully crafted from cast iron, then hand finished. Next, a durable, stain resistant porcelain enamel finish is applied. 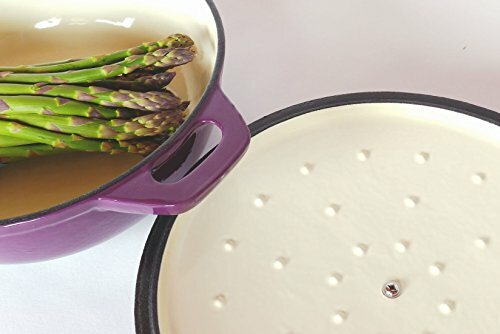 The result is cookware that cooks at an even temperature, has superb heat retention and browns foods beautifully. The small dimples on the inside of the lid drip steam condensation on top of your food, giving a basting effect. 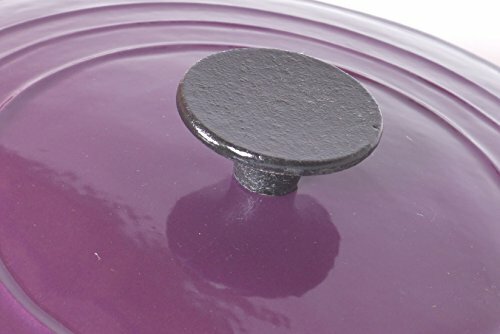 Dimensions: 13-Inch opening, lip is 3-1/2 inch above base. 5-3/4 Inch to the top of the lid knob. As is usual when labeling these types of items, the advertised 5 quart capacity is when filled to within 1/4-Inch of the brim. Practical capacity is about 4-1/2 quarts. Oven Safe to 500 Degrees. Knob is Cast Iron.